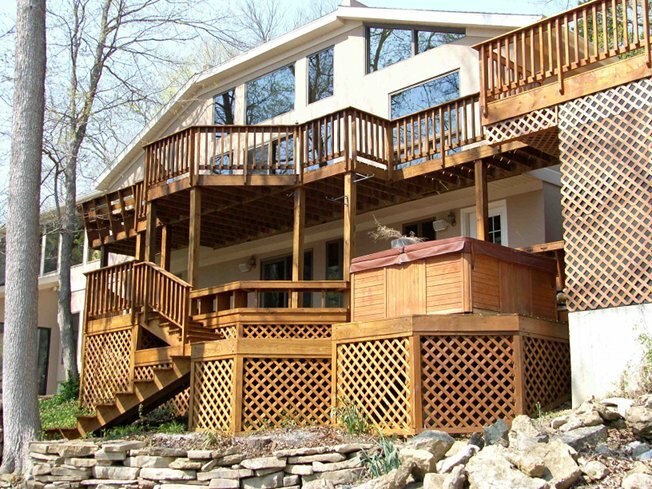 Shepherd’s Company provides residential and commercial services to the entire Lake of the Ozarks area. 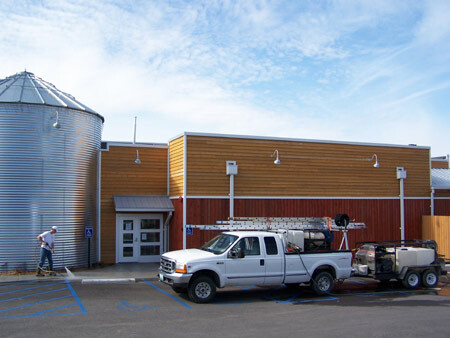 Established in 1979, our company is dedicated to high quality work and customer satisfaction, and has respectfully served its customers in the Lake for many years. While not working, our partners and workers enjoy spending vacation time at the Lake themselves, and know the value of your property and the how to treat it with respect and care. We are licensed, bonded and insured, and our partner supervised workers undergo safety training and adhere to the highest standards in their work ethic and professionalism. Customer references and testimonials are available upon request. Our customers in the area include many of the large condominium developments, local businesses, homeowners’ associations, retail stores and dining establishments, the Lake Regional Hospital, and numerous homes and condominiums all throughout the Lake . . . no finger is untouched! Areas at Lake we have served in the Lake include Porto Cima, The Villages, The Four Seasons and a large number of businesses, condominiums and homes throughout the region in Camdenton, Osage Beach, Lake Ozark, Sunrise Beach and surrounding areas. Some of our residential work has been featured in Lake Lifestyles magazine, and we have long-standing relationships with many of the local property management companies. 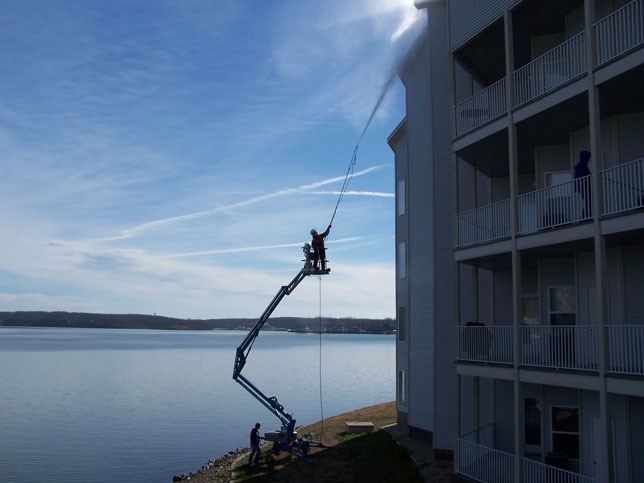 Thank you for considering us for your job in the Lake of the Ozarks. Please contact us with any questions or for an estimate. We also provide online instant bids for our window cleaning, pressure washing and gutter cleaning services. Licensed, bonded and insured. Rain guarantee. Serving all areas in the Lake of the Ozarks, including Camden County, Camdenton, Eldon, Four Seasons, Lake Ozark, Laurie, Miller County, Morgan County, Osage Beach and Sunrise Beach.